An update for the Android Google Search application will allow people to use the service to launch the camera application in either photo or video mode. 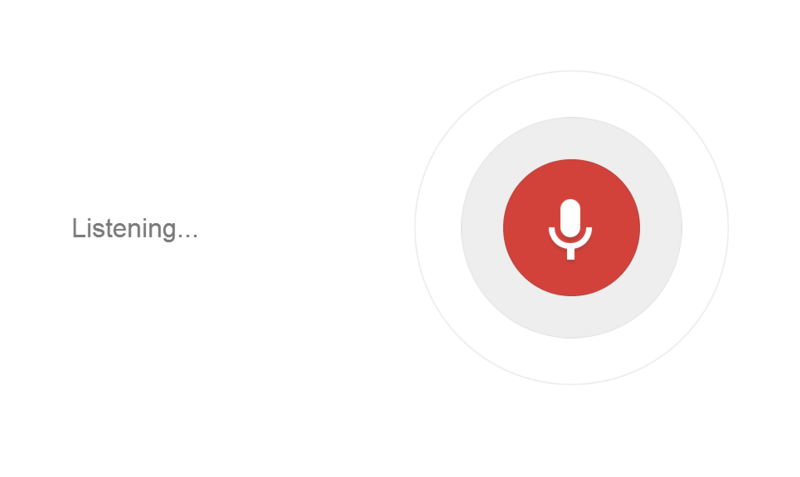 By tapping the microphone or saying “OK Google” and then “take a photo” or “take a video”, the camera will open. Google has moved towards voice commands in many ways but if you must first open one application in order to open another, the update is not very beneficial for someone who is trying to quickly take a photo or video. Instead, it would probably be easier to just hit the camera icon, even if you say “OK Google” rather than manually opening Google Search. If you have multiple camera apps on your phone, the Google Search commands will bring up a list of the apps which you can then click on to finish the operation. This feature may become useful on new devices however, since many of them are “always listening” and you could therefore use the update to open the camera app all the way from having the phone in sleep mode. For most people, the entire process is a little bit confusing and convoluted so unless you have a device that is always listening for the “OK Google” command, it may not be worth opening Google Search just to get to your camera. Instead, open the camera from your home screen and you are good to go. People who have responded to the Google+ post that announced the update have voiced a variety of opinions. A large portion of the commenters feel that this voice command is not very useful since it is not very difficult to manually open the camera app in the first place. Summary: Google is updating the Search app on Android. The update will allow people to use voice commands to open the camera app in either the photo or video mode.